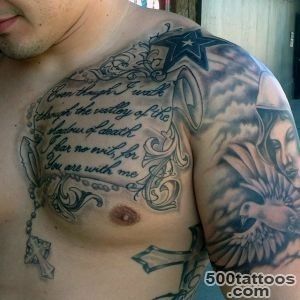 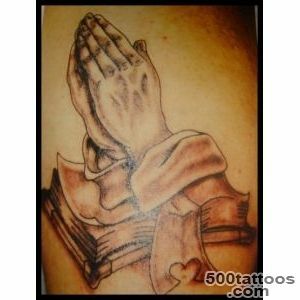 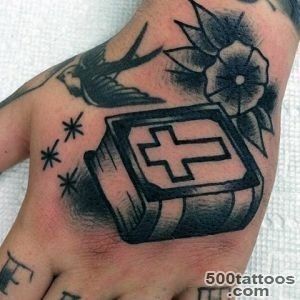 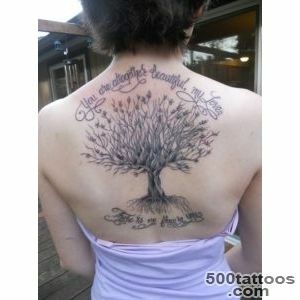 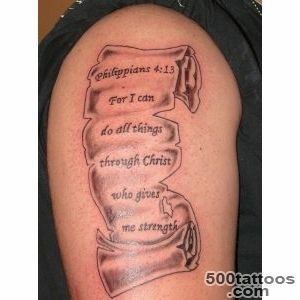 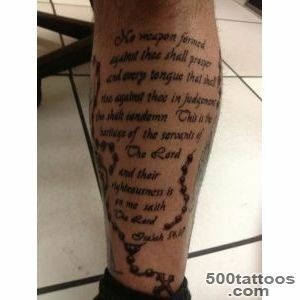 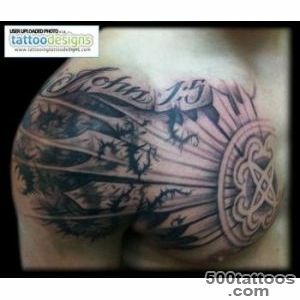 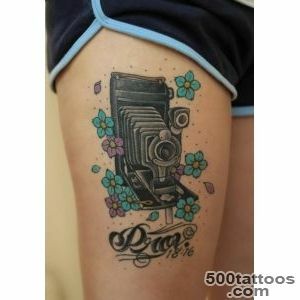 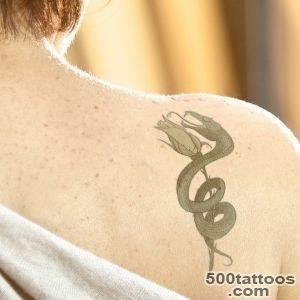 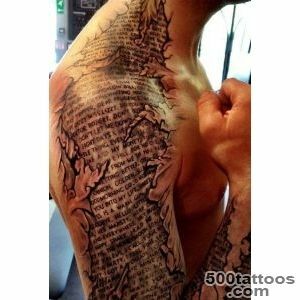 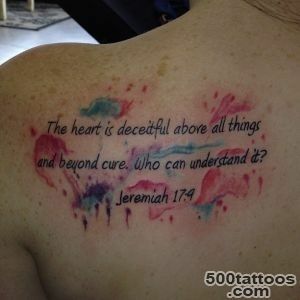 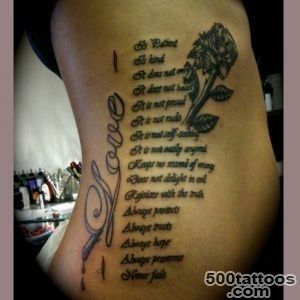 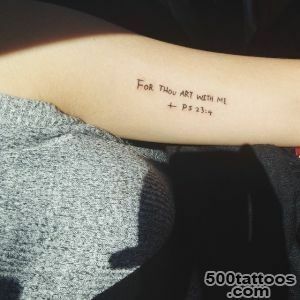 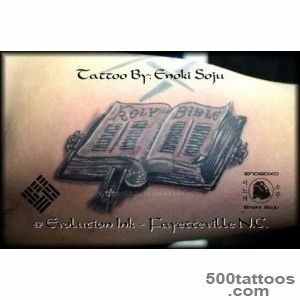 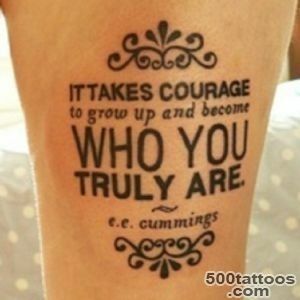 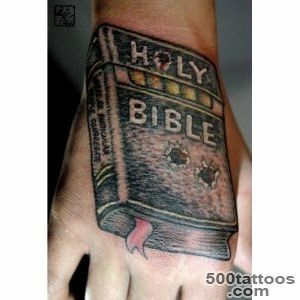 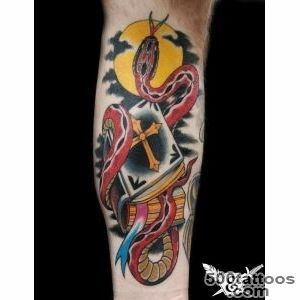 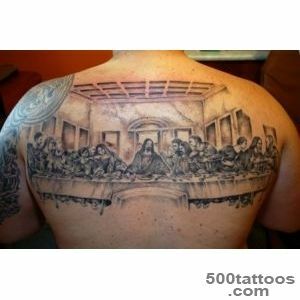 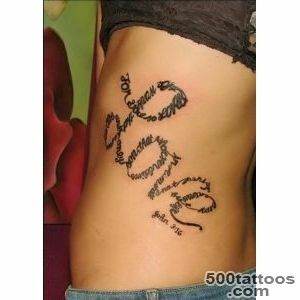 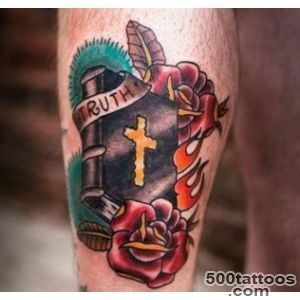 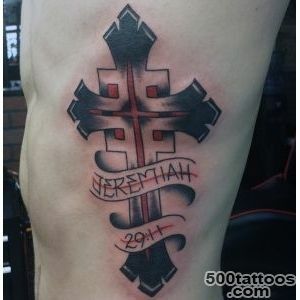 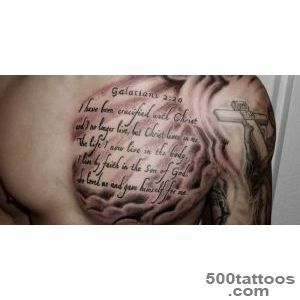 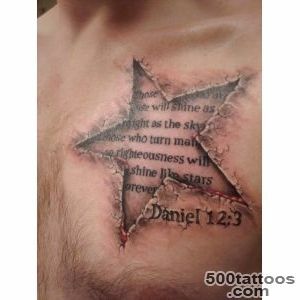 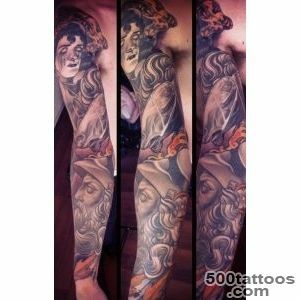 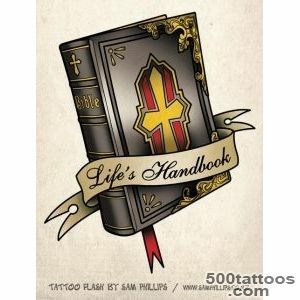 Biblical tattoos are very popular, they are more common than other types of tattoos. 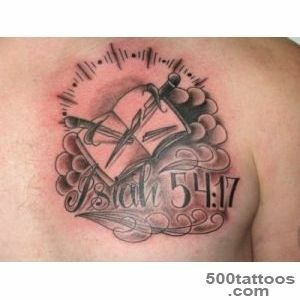 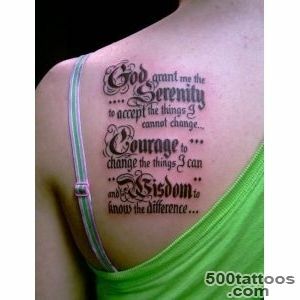 Can quote passages of Scripture. 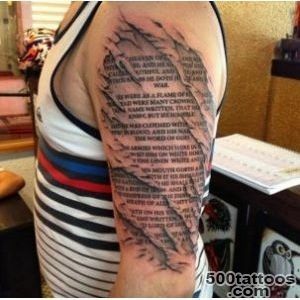 Some phrases are found in different parts of the body, from the occiput to the foot. 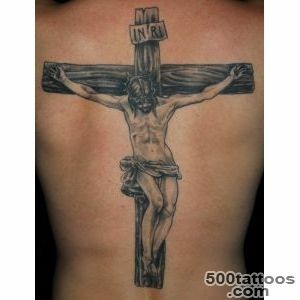 In the form of tattoos applied to the image of Christ, as an option - on the cross. 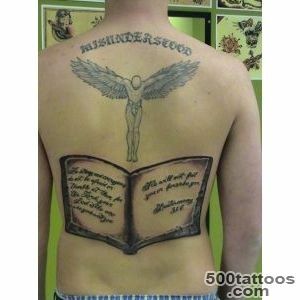 Depicting angels praying, flying ; in the composition or the biblical scene.The Virgin Mary is also depicted in the form of tattoos. 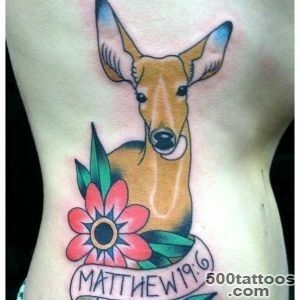 Use a color image, but more often monochrome, the more expressive for biblical themes. 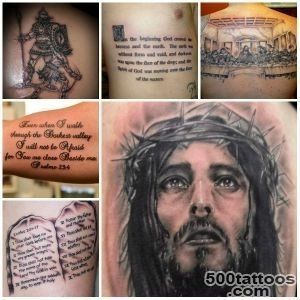 There is evidence that at the beginning of our era, as well as during the Crusades priests wore distinctive tattoos in the form of the inscription " I am a disciple of Jesus Christ " or an image of the cross.